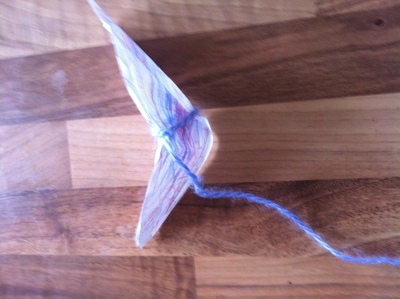 Quick and easy to make, this can be hours of fun especially on a windy day. Kids can run up and down a garden with this trailing behind for lots of fun. Being a bit like a kite, it is fun to run with these, but easier to make and manoeuvre, it is fun for younger kids to make and play with. Cut the paper down to a rough butterfly shape. 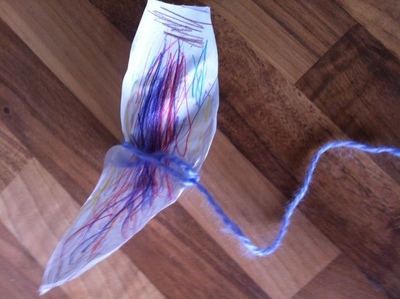 Colour and decorate the butterfly shape any way you like. 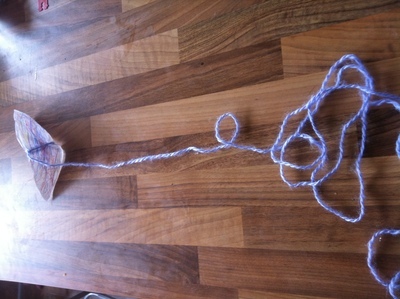 Attach wool to the middle of the shape, leaving a long bit trailing. Run up and down the garden in the wind. If you have two kids doing this, they could race and have a lot of fun with the wind runner trailing behind them.